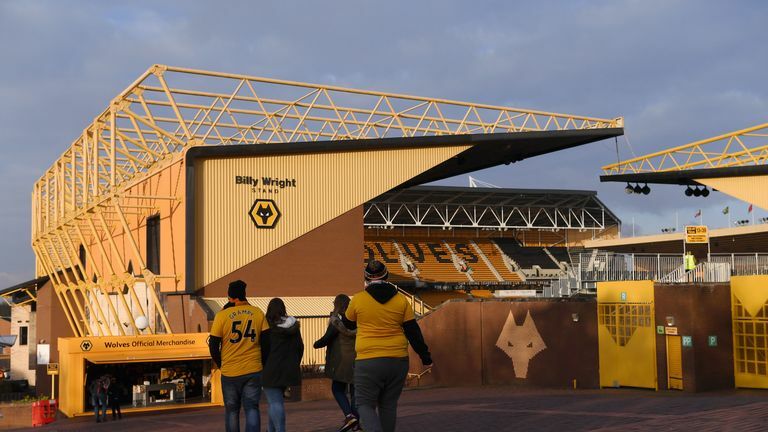 Wolves' Laurie Dalrymple and Jeff Shi outline the club’s European ambitions and their vision for an expansion of Molineux. Wolves' Laurie Dalrymple and Jeff Shi tells Sky Sports' Johnny Phillips about the club's vision to redevelop Molineux. 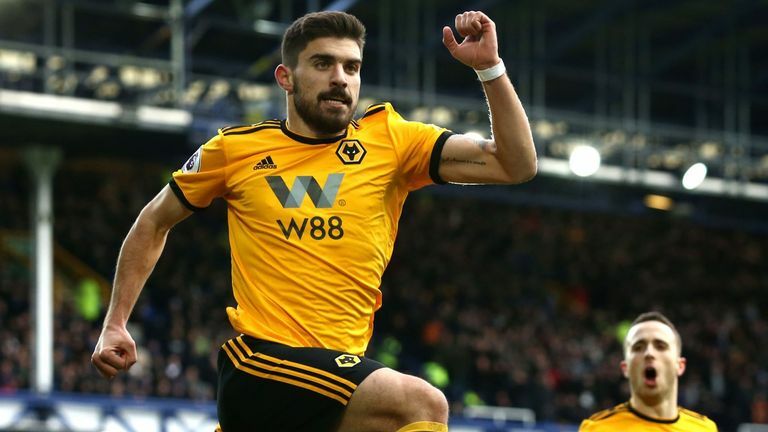 Wolves' performances on the pitch during their first season back in the Premier League have delighted their success-starved supporters. A place in the last sixteen of the FA Cup to accompany seventh position in the league has exceeded expectations already. And the progress being made by Nuno Espirito Santo's side is running parallel to some exciting off-field developments. The club's hierarchy have outlined their intention to redevelop the famous old ground, putting an end to supporters' fears that Chinese owners, Fosun, were considering leaving the current site. The proposed development will take place in several stages over the coming years, expected to begin with the Sir Jack Hayward Stand behind the goal at the city end of the stadium. "I've got no doubt whatsoever that we've got enough space here to stay at Molineux and I see Molineux as being intrinsically linked, both with this club's history, but similarly with the club's future as well," says Dalrymple. "I'm spearheading that project work and we're working closely with a number of key consultants, from architects to surveyors. We see a benchmark that this club could grow to a 45,000-50,000 capacity in the medium to long term if we continue on the trajectory that we're continuing on. "So that means bringing the right players in, getting the right development through the academy, getting the right results, performing at the right end of the table, having consolidated our position in the short term. And if we do that, we can see there is a clear pathway that will take us through to something that will be in the high 40,000s." The South Bank was once a huge terrace that could accommodate up to 30,000 supporters in its heyday. It was knocked down and turned into an all-seater stand when three sides of Molineux were redeveloped in the early 1990s by former owner Sir Jack Hayward. But the current owners believe another redevelopment is required to take the club forward. 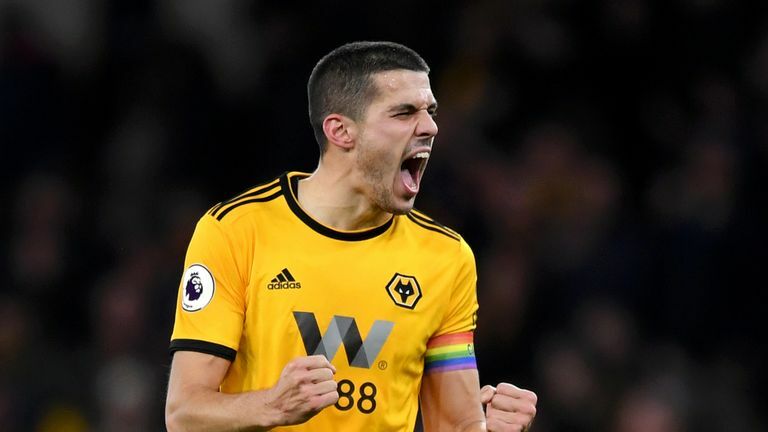 Wolves defender Conor Coady says the team have evolved and improved during the Premier League season. Chairman Shi adds: "The most important thing is to have enough capacity. 40,000-50,000 is not a problem by my understanding. Wolves is like a sleeping giant. "They were at the peak of the country fifty or sixty years ago. Many families, fathers and grandfathers watched Wolves. We have a long-term plan, of course. "Regarding the long-term we want to be one of the best in Europe, but you have to do everything step by step. The first thing in our mindset is to stay in the league and build a strong team to compete next season. I think to develop the club to a high level we need time. In football, no-one can do everything in one day or one season." "It's going to take time and it's going to require patience," Dalrymple continues. "It's very easy to forget that two and a half years ago we weren't in this position, we were very far from this position. "Almost two years ago we beat Rotherham 1-0 and were booed off the park, so I try and keep things in context to the journey that we're on. We are firmly on track for the long term plan of this football club and we're performing in a way that we want to. "If we continue to do that - and it will be a phased project, we're not going from 32,000 to 48,000 overnight - there's a clear pathway developing of what we want to do and how we want to get there. I see staying here as being an intrinsically important part of that process." Wolves will be looking to build on their status within the city, bringing the council and major businesses on board. "Fosun are ultimately an investment company so it is within their DNA and make-up that they're going to want us to be completely self-sufficient at some point, if that point has not already arrived," Dalrymple explains. "So we have to be partnering with the right people, we have to be finding the right level of investment into this football club and we have to be establishing the right relationships with the right stakeholders. We can't do it all on our own. "A big part of it is going to centre around the infrastructure within the city and not just the football club. "We have been having long discussions with the council, the university, other key stakeholders in the area, the people we are going to be reliant on for this to develop." There is flexibility around Molineux for development, with significant space behind the Stan Cullis and Steve Bull stands. But Dalrymple acknowledges that there is considerable work to be done to utilise the area properly and solve the current difficulties being experienced on a match day. "As an example of that, at 32,000, this stadium is already putting a huge pressure on the local area in terms of the roads and transport infrastructure," he explains. Shi believes patience in all areas of the club will reap long-term rewards, citing Wolves' determination to become a centre of excellence for young talent. "If you want to develop young players from the academy you need time," says Shi. "For example, we are trying to sign boys at the age of fourteen or fifteen, so you need four or five years to wait for them to grow up. Time is not our enemy." Several of the current first team squad have been coveted elsewhere, so does Shi accept that it will be a challenge to keep the club's top young players with Wolves not yet at a level to compete with the top six? "Yes of course, but we can ask Morgan Gibbs-White and Ryan Giles why they want to stay with us. There are many reasons why they want to stay with us, it is because we are doing a very good job. For young boys, money is one thing, but do they have a very good environment to help them? I think we have. We have fantastic staff to help them grow up." The club has been on an upward trajectory on the pitch for the past eighteen months. The plan, now, is to build on the success of the playing squad by transforming Molineux into a centre piece for the city as a whole. "We really want the football club and Molineux as a venue to be the focal point of all of that."